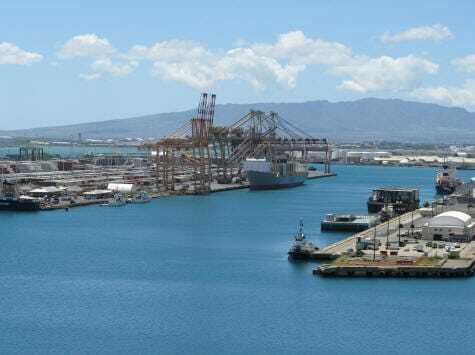 Coastal Auto Shipping offers auto transport services to and from Honolulu. The Hawaii island of Oahu or sometimes referred by ” The Gather Place” certainly lives up to its name. Being that its the Third largest island you can expect large crowds to live there. Bringing people from all around the world there. Not forgetting their luggage and even moving a car to Hawaii with them.If you are auto shipping to Hawaii you want to know what are the hot spots to go to. With so much contrast in Hawaii between the ancient history and the modern that makes this is Island an ideal location to live in. Beaches like the one in Kailua meet the metropolitan cityscapes of Honolulu making your drive in a classic car or even your Jeep exciting. The historic location of Iolani Palace can meet with timeless memorials of Pearl Harbor are also worth the trip. Lets not forget the cities of Waikiki and Kapolei where there attractions located everywhere. Whether it’s hiking , enjoying some Hawaii’s best shopping , or simply taking a walk on the sands of the island’s beaches, you’ll find something to remember on Oahu. Transportation around the cities including the mayor port of Honolulu can sometimes get tough with such a large population. So natives and tourists around rent cars, or use other means to explore the island like buses, shuttles, trolleys or taxis. Now these options maybe great at first but keep in mind if staying for a long period of time ,any mean of transportation can get expensive. Especially if you don’t have your own car to move around Hawaii. If you need to transport a vehicle to Hawaii we will ship the car to the port of Honolulu. Located at 1411 Sand Island Parkway Pier 51-B Honolulu, Hawaii. Only couple of minutes from the Honolulu International Airport. Shipping a car to Hawaii can reduce the rental fees and cut down on other transport need to move around your vehicle. Copy of the title or Ownership Document of the vehicle. No personal belongings inside the vehicle. Only items allowed are the documents kept in the glove box and one baby seat. You can always give Coastal Auto Shipping a call to find out more information.